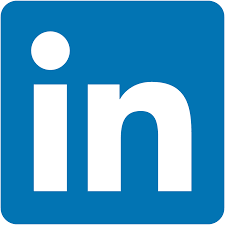 The Association for Talent Development (ATD) is a professional membership organization supporting those who develop the knowledge and skills of employees in organizations around the world. 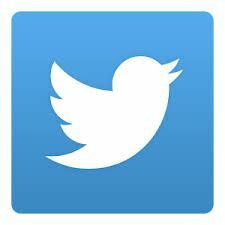 The association was previously known as the American Society of Training and Development (ASTD). 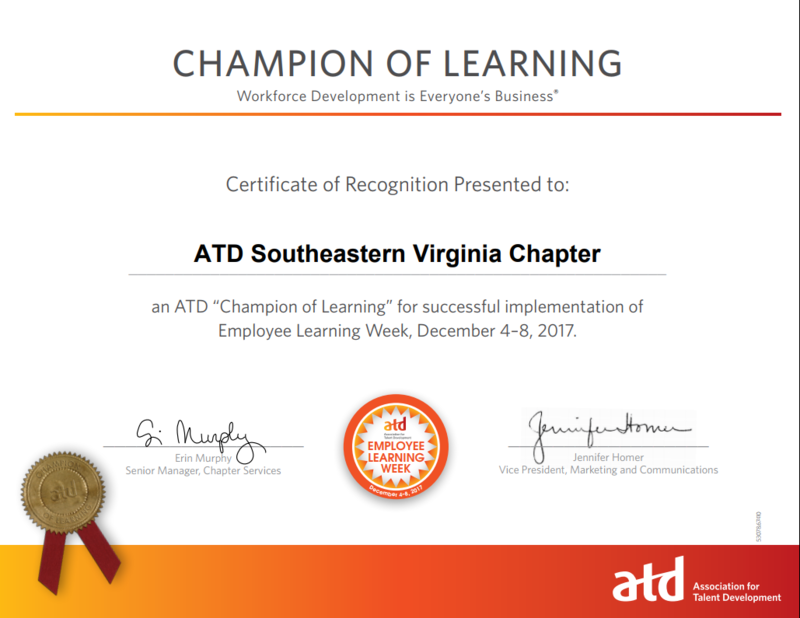 The Southeastern Virginia Chapter of ATD is the primary professional organization for workplace learning and performance professionals in Hampton Roads. 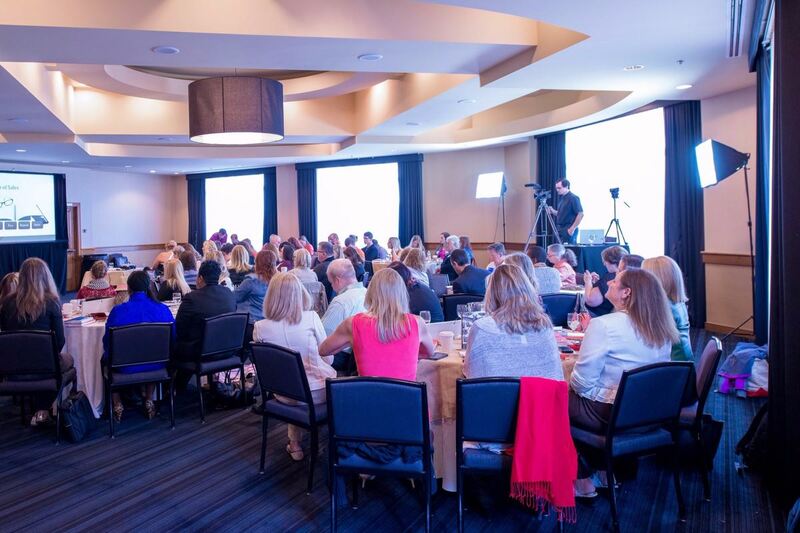 Formed in 1975, it's proud to be one of the oldest ATD regional chapters. 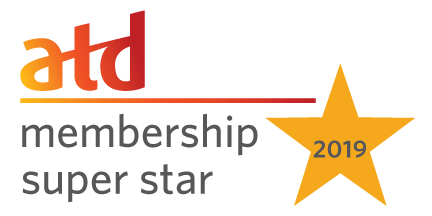 SEVA ATD today is stronger than ever with a committed board and supportive members together creating new ways for local training professionals to grow and excel in the training industry. Our Member Week has been extended until the end of this month. Check is out daily for your member benefits, prizes, and giveaways. ©2018 SEVA ATD. All Rights Reserved.